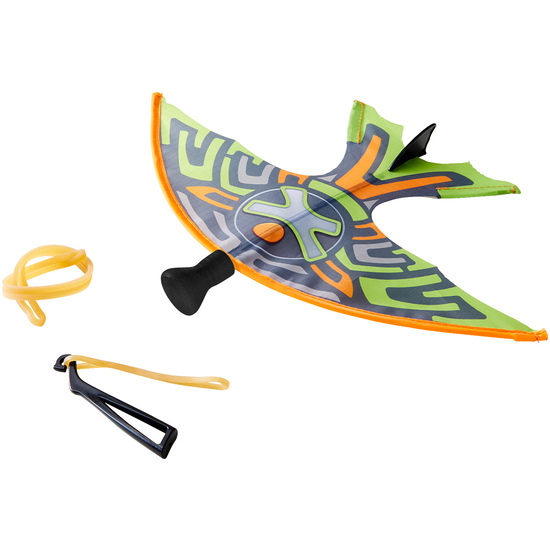 Terra Kids slingshot glider perfectly combines a high-speed slingshot with gliding elegance. Simply pull back the rubber-bands, release glider and watch it fly! Contents: 1 slingshot glider, 3 rubber bands.